A Kuwaiti court has increased the prison sentence of a grocer convicted of insulting Gulf Arab emirate’s ruler on Twitter to the maximum five years, his lawyer said on Thursday. A lower court had previously sentenced Bader al-Rashidi to two years in jail for publishing false news that could harm national security and plotting to overthrow Kuwait’s rulers via his tweets, defense lawyer Jasser al-Jidei said. “The appeals court stiffened the sentence to five years. This is the first time the court hands down the maximum sentence,” Jidei told Reuters, adding that prosecutors had filed the appeal for a longer jail term. Jidei, arguing that the tweets attributed to Rashidi had originated from a computer his client had bought second-hand, said he planned to appeal against the ruling in the court of cassation, Kuwait’s highest appeals court. Kuwait, a U.S. ally and oil producer, has been taking a firmer line on politically sensitive comments aired on the Internet. Twitter, seen as a freer tool of expression than the conventional media, is popular in the country of 3.7 million. 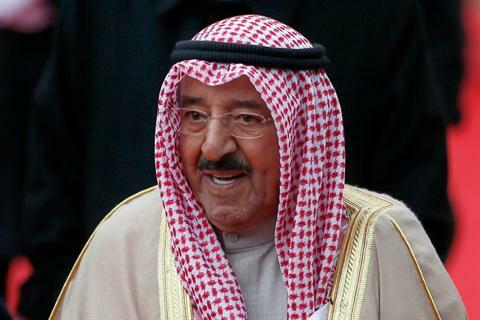 Last month, three former opposition lawmakers were sentenced to three years in jail for comments deemed offensive toward the emir, Sheikh Sabah al-Ahmad al-Sabah. Human Rights Watch has said prosecutors have charged nearly 25 people with offending the ruler. Kuwait’s information ministry has said it supports free speech but that authorities must enforce the law. Kuwait allows more public dissent than other Gulf states and has avoided the kind of mass unrest seen in Arab uprisings that have unseated four autocratic leaders since 2011. Forty two percent of Austrians think “not everything was bad under Hitler,” while 57% think “there was nothing positive about the Hitler era,” according to a poll conducted by newspaper Der Standard that was published on Friday. The poll was conducted among 502 eligible voters in Austria and published ahead of the 75th anniversary of the country’s annexation by Nazi Germany. Nazi Germany annexed Austria in 1938, and a debate still smoulders on whether Austrians were Hitler’s first victims or willing accomplices. Austria’s Jewish population was nearly wiped out in the ensuing Holocaust. But heeding prosecutors’ description of Kuessel as a prime leader of the extreme right, the jury voted 5-3 late on Thursday to convict him. Two other defendants got sentences of seven and four-and-a-half years.